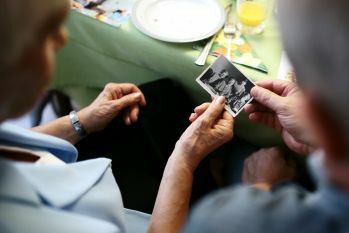 When someone you know is diagnosed with Alzheimer’s disease, it can be a difficult time for numerous reasons—and one of the hardest parts can be losing a connection you once had with your loved one before their brain changed. Unfortunately, loss of emotion is a common symptom of Alzheimer’s disease and other dementia-related conditions because emotions are products of the brain, and the experience and the expression of emotion often change as the brain degenerates. Patients may become withdrawn and apathetic, or they may become irritable, impatient, or suspicious. These emotional changes—particularly irritability and suspiciousness—may confuse and push away family members who take them personally and don’t see them as products of the illness. But thankfully, there are steps you can take to continue to maintain a connection with your loved one with Alzheimer’s. Read on to learn more. Learn as much as you can about Alzheimer’s disease. It is easier to handle emotional changes in loved ones if you understand the disease and learn to attribute these changes to the disease and not the person. The Alzheimer’s Association is a great resource. Don’t take apathy, irritability, or suspiciousness personally. It’s easier to do this if you understand how the disease affects the person’s ability to perceive the identity and intentions of people around them, and the person’s ability to control the expression of emotion. If you don’t outwardly react in response to these behaviors, you may prevent triggering more unpleasant behavior. Be open to trying new ways of interacting with your loved one. The old modes of interacting may not be gratifying or practical for them anymore. Listening to music together, watching old movies or television re-runs, looking at photographs, taking walks, reminiscing about past experiences, and all kinds of other activities are worth a try. Recognize that the same activity may not produce a gratifying experience every time. Don’t expect to make a connection every time, but don’t give up. What didn’t work this morning might work this afternoon, or tomorrow. With time, being a reliable presence for your loved one can be a rewarding experience for you and a comforting experience for them. At the same time, don’t press your loved one for contact. If they give signs at this moment that they are not receptive, then it’s important to be in tune with their needs in the present moment—and there is always the opportunity to try again later. Seek the support of other family and friends. It’s often helpful to reminisce about times you shared with this person when he or she was healthy. This keeps warm memories alive, and warm memories sustain warm feelings. Consider writing a brief biography of the person, perhaps illustrated with old photographs. This may help you and others remember and in some way preserve the fullness of the person who is now declining as a result of the disease. It also provides an opportunity to look back on old, happy memories with your loved one and to show them you care. If someone you know has been diagnosed with Alzheimer’s disease or dementia, comment below and let us know if you’ve tried the tips above. We hope they bring you and your loved one closer during this difficult time. Dr. Robert Roca is the vice president of Medical Affairs for Sheppard Pratt Health System. 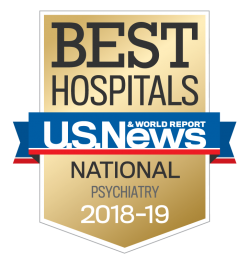 Dr. Roca specializes in geriatric care and serves as chair on the Council on Geriatric Psychiatry for the American Psychiatric Association, which focuses on the special mental health needs of older adults.